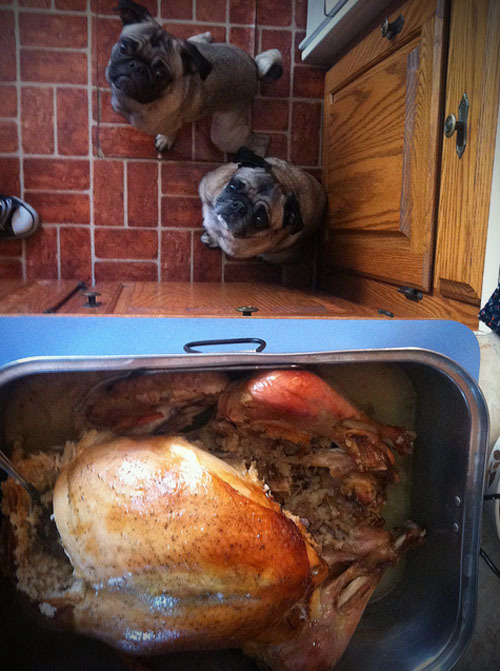 It was a five dog Thanksgiving yesterday. Everyone was in town. Hugo took a liking to my sister's dog Bronson. 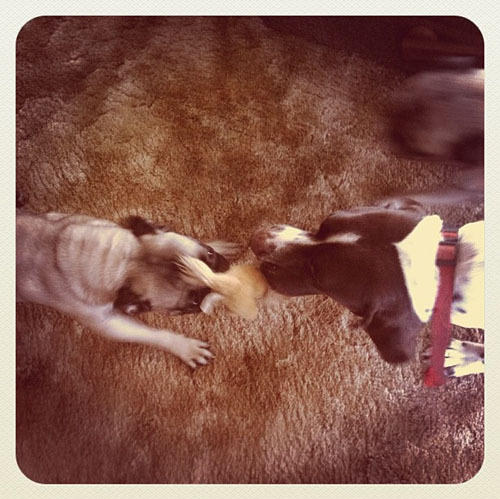 They played a lot of tug of war. Traditional yearly photo of pug wistfulness. 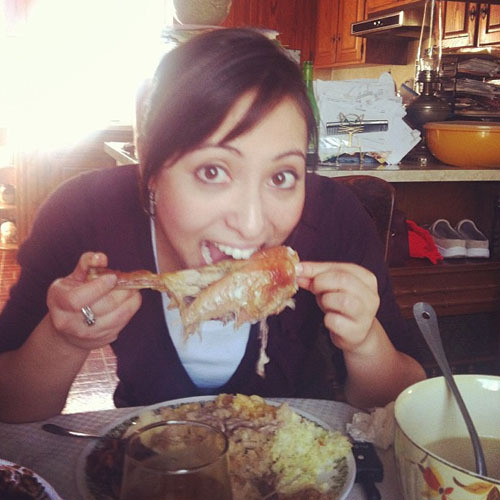 My sister and ye olde turkey leg. 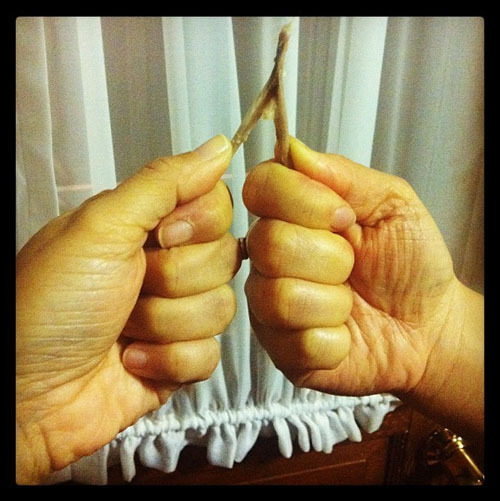 Wishbone-off. I won this year. And yes, my sister has wrinkly little hands just like me. It looks very delicious.I am very honored to introduce a free date/photo recovery products to you, it is very useful and free,and professional technical support.THANK YOU !